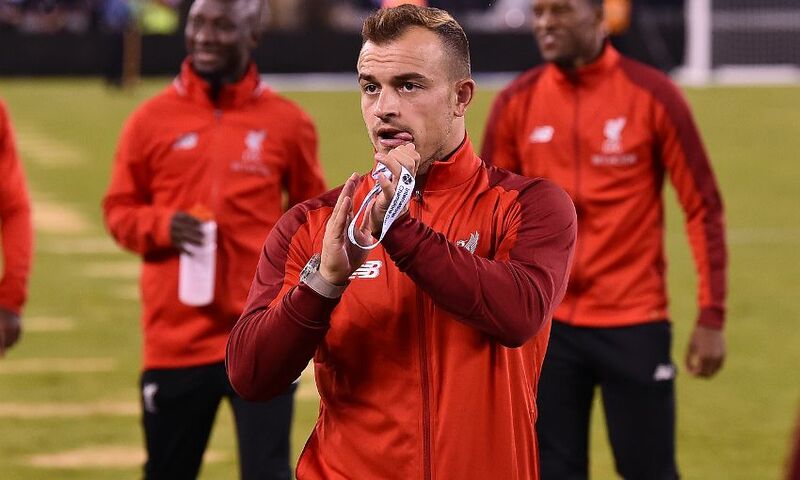 Jürgen Klopp has confirmed Xherdan Shaqiri could make his Liverpool debut in Saturday’s International Champions Cup clash with Manchester United in Michigan. The Swiss midfielder linked up with his new teammates for the first time on Tuesday as he flew out to join the Reds’ United States tour. And Klopp has confirmed it’s possible Shaqiri will be handed some minutes in the club’s last game Stateside. Asked whether the No.23 could feature in the encounter with United, Klopp told Liverpoolfc.com: “We will see. He has had four days of training and will probably be involved in the squad, so maybe he can play a few minutes.